InsurTechNews | The Perfect Storm is in the making. Will insurers be able to use it to their advantage? The Perfect Storm is in the making. Will insurers be able to use it to their advantage? Today’s carriers are at the center of what might be considered a developmental perfect storm. It sounds dramatic but their very existence is being challenged by shifting market forces, some of which have the power to rock these decades’-old institutions to their very foundations. The pressures are four-fold. Technology: Both in terms of the way insurance products are accessed and in the way they are created, technology is at the heart of significant disruption. The Customer: Attitudes are changing. The customer is no longer obedient. Consumer choice is a powerful force, driven by influences carriers have little or no control over. Experiences are driven by the gig economy, expectations set by next-day, next-hour, real time information. Data: It seems we’d only just got used to the idea of Big Data and now we’re talking about data lakes and dictionaries. It’s not a question of awareness among carriers about what is possible, it’s now coming down to capability. Culture: The changing landscape is making huge demands of carriers’ internal make-up. From almost every angle, change is needed. This means tackling issues of technical insufficiency, employee capability and even calls into question their fundamental business structures. This paper looks at each of the challenges facing carriers in a changing landscape and examines where, in particular, they can find solutions. There’s no doubt that carriers are spoiled for choice when it comes to opportunities to use technology to reach customers. But this also means there is ample opportunity for them to overspend and under deliver. Artificial Intelligence (AI), machine learning (ML), Internet of Things (IoT) and Blockchain promise much, but are carriers equipped and ready to take advantage? “A few insurers have been capable of improving the technical profitability through the usage of IoT data on their processes. While some have done a terrific job enhancing the proximity and the interaction frequency with their clients, increasing in this way the retention rate, others have used IoT data to create and consolidate knowledge about risks and their customer base. 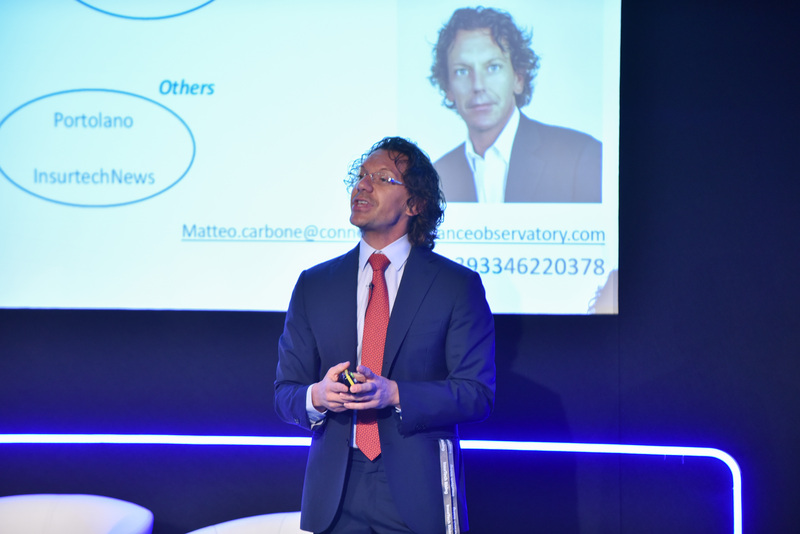 But as of today the average understanding of this opportunity in the different markets is still low, and there is a lot of superficiality from the analysts in the various markets” commented Matteo Carbone, Founder and Director of the IoT Insurance Observatory. For many carriers, examining those business problems reveals that the technical approach needed is often not as complex as some might have assumed. “Robotic process automation (RPA) is going very well. We are delivering a lot of value with automating many of our internal processes. It’s also given us an opportunity to reengineer our processes and make them more efficient as well,” reveals Unum’s Technology Capability Officer, Mike Hendry. Others are looking further afield but noted that adopting some more cutting edge technologies depended very much on the state of mind of the organization. In particular, its appetite for innovation. Download the full whitepaper by Insurance Nexus to read all about the 4 Tools that insurers can use to leverage connected insurance.